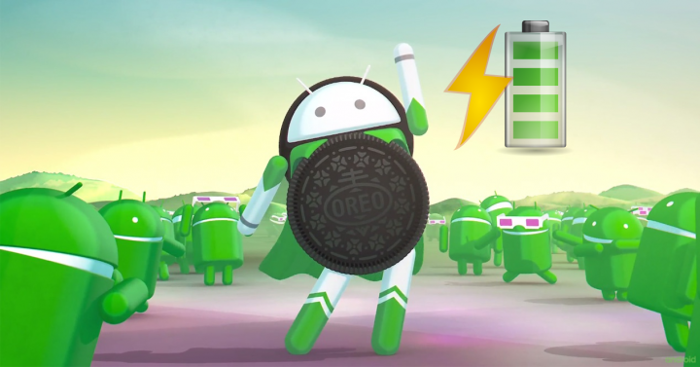 Battery Optimization Android 8.0 Oreo. The new Android 8.0 "Oreo" is here. This is the new version of the operating system of Google, Android, with which the company wants to continue improving its operating system in order to continue maintaining its share in the mobile phone industry. In addition to all the improvements and new features of this new version, as with the previous updates, Google has made an effort to further improve the management and management of the battery and its optimization options. The battery manager for Android is not something new. For some time this function is part of the operating system. Up until Android 4.4 KitKat, the system only allowed us to see a graph on battery usage and, roughly, what had spent all those resources. With the arrival of Android 5.0 Lollipop, this battery manager was updated and renewed offering us more detailed information about the spending and, in addition, with the new mode of "Energy saving" that puts the device in minimum services when we approach a level of critical load. With Android 6 Marshmallow and Android 7 Nougat, the battery manager has continued to improve and in addition, has added some extra function, such as more details about consumption and also Doze, the Android battery optimization system. Now with the arrival of Android 8.0 Oreo, as expected, this battery manager has also been updated and renewed and, in the following link, we are going to explain how we can see the battery usage and optimize its duration in the new Android 8.0 "Oreo". Applications to optimize Android battery, reality or myth? Almost since the early versions of Android, when the Play Store was called Market, there are applications that promise to optimize the battery and lengthen the battery life. Surely on more than one occasion we have tried some, or we have been tempted to do so thinking that, indeed, will improve the duration of this. Most of these applications, the truth, is that they do not work. Android has some very aggressive routines as far as the running of applications (for example, to ensure that notifications are received) and, if an application is shutting something down, Android opens it again, even going so far as to make such applications not just do not optimize the duration, but make it work worse. Twelve, the forced optimization of Android, is the one that really optimizes the system, hibernating all the applications and leaving only active those that must be always in operation, like WhatsApp. If we want more battery control, another one that did a good job was Greenify (in the end, Doze is based on Greenify's theory), although, with root being necessary, and with the problems that have lately with this configuration, it is better not to take risks. So, have you tried the new Android 8.0 Oreo? What do you like most about this new version?